Let’s face it. At this day and age, anyone can create a simple Microsoft Word document. But that is the key word: simple. Is that all you want to do? Do you want to create simple Word documents that meet the bare minimum requirements, or do you want to create awesome, polished-looking files that will make you look like a pro? If you have never taken any Microsoft Word training courses, your decision should be obvious. It’s too difficult to learn all of the features, functions, and shortcuts on your own, and if you don’t, you’ll never use Microsoft Word to its full potential. But what if you took courses on Microsoft Word’s earlier versions? Do you still need Word 2010 training? Absolutely! There are plenty of new things to learn. In case you need more reasons to sign up for Word 2010 training, here they are. Most experts agree that Word 2010 is a lot better than Word 2003, but it has also some major advantages over Word 2007. Word 2010 brings back a File Menu that is similar to Word 2003’s. Word 2007 was so radically different from its earlier versions, it confused the hell out of a lot of people. But now the ribbon is back, and users may easily customize it. Word 2010 offers a new feature called Protected View, which allows users to open files that are potentially risky in a protected environment. Word 2010 comes with a handy Backstage feature, an interface that allows you to manage the saving, sharing, security and printing of your document – all in one place. Word 2010 has drastically improved collaboration and sharing options. The newly added Document Inspector function, for example, audits and cleans up your document before you share it – it can suppress the author field so your name is not revealed and not associated to the document. Word 2010 has better formatting and editing features. The Navigation Pane, for example, shows you all of the appearances of a term you searched for, allowing you to deal with each one separately rather than replacing them all at once. Seems like a lot to take in, right? And these are just a few of the new functions and features of Word 2010. So now you know you need Microsoft Word 2010 training to learn more about it. Luckily, TutorPro LTD offers excellent online Microsoft Word training. 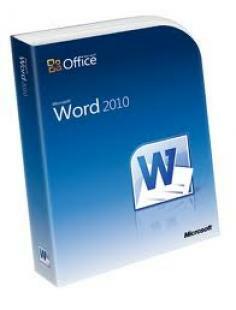 A part of the Microsoft Office 2010 course, this Microsoft Word tutorial is comprised of 11 modules. Each of TutorPro’s course modules includes audio and exercises that are targeted to help you meet your Microsoft Word online training objectives. TutorPro’s simulated environment provides learners with a realistic course setting. Sign up for TutorPro’s Microsoft Word training online and use Microsoft Word like you never have before.